Elizabeth Manygoats is a daughter of noted potter Betty Manygoats. 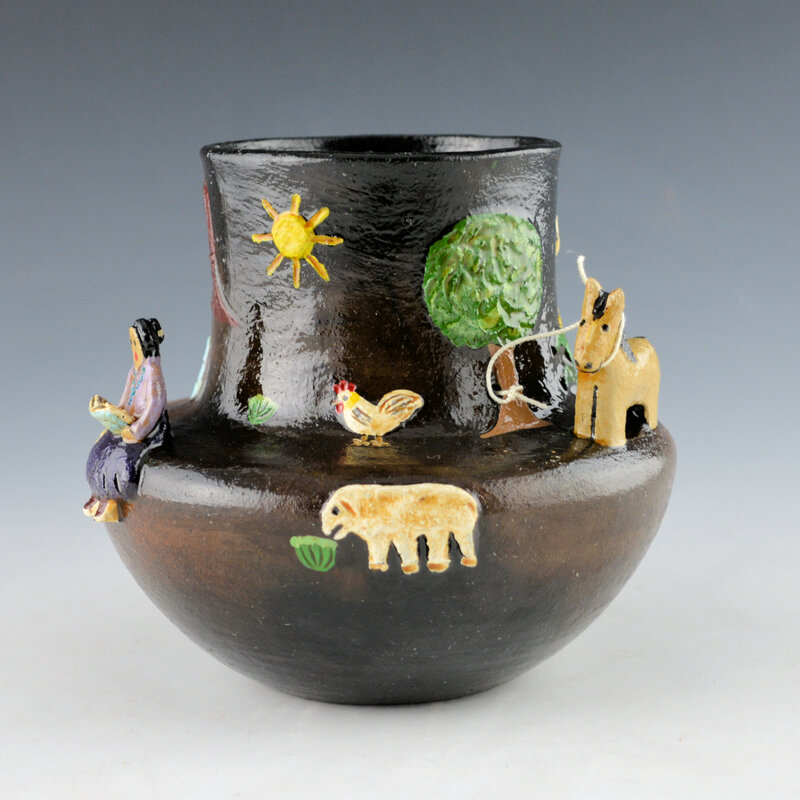 She is known for her folk-art style pottery with figures in relief or applique on the surface. Elizabeth says that she often emphasizes Navajo women and their daily lives in her work because “They’re the ones I look up to.” This jar is very thin walled and has a flat shoulder and straight neck. There is a lot going on around the jar and it is both clever and charming. There is a Navajo girl reading a book. Behind her is a subtle mesa and she is surrounded by a chicken and sheep (in relief). 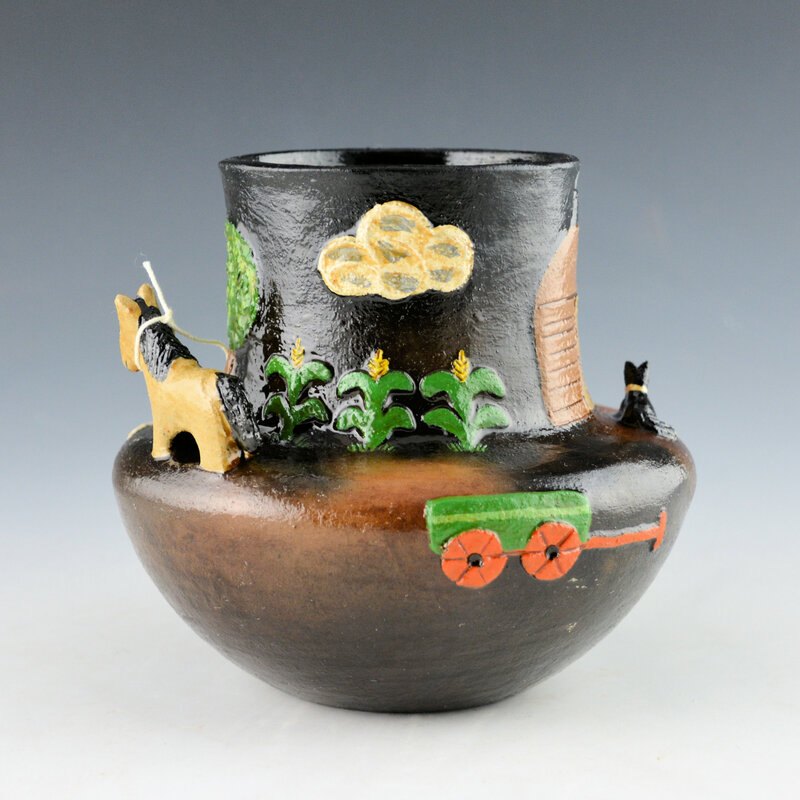 As the jar is turned, there is horse applique figure which is tied to a tree with a string. There is then a row of corn, clouds, and a small wagon. Finally, there is a classic Navajo hogan and sitting out front is a dog. The various colors are added to highlight the imagery. 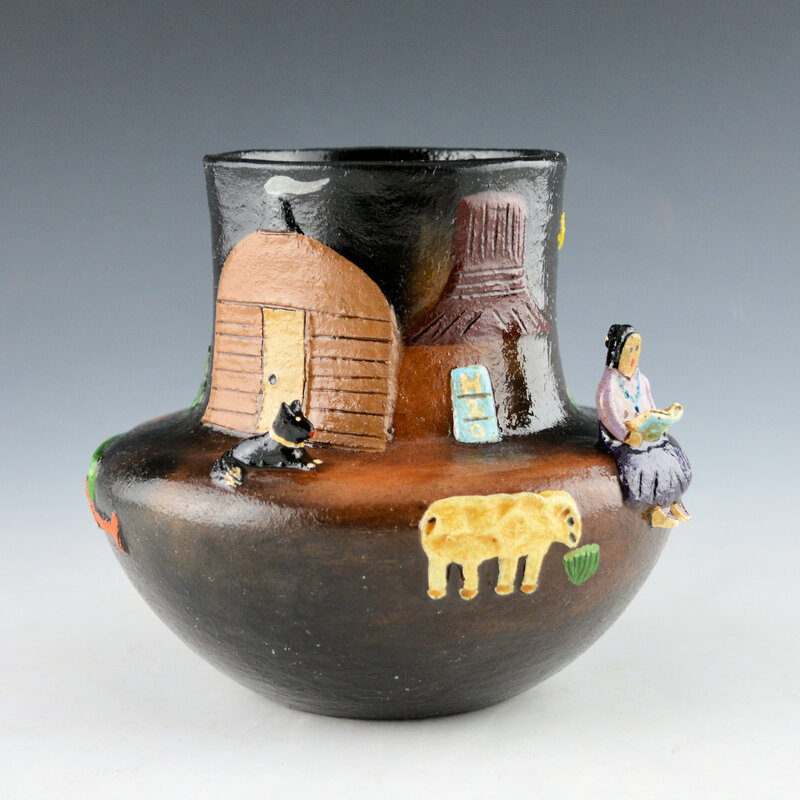 The jar is traditionally fired to create the variations in color to the clay surface. After the firing the entire piece is covered in pine pitch in the manner of traditional Navajo pottery. 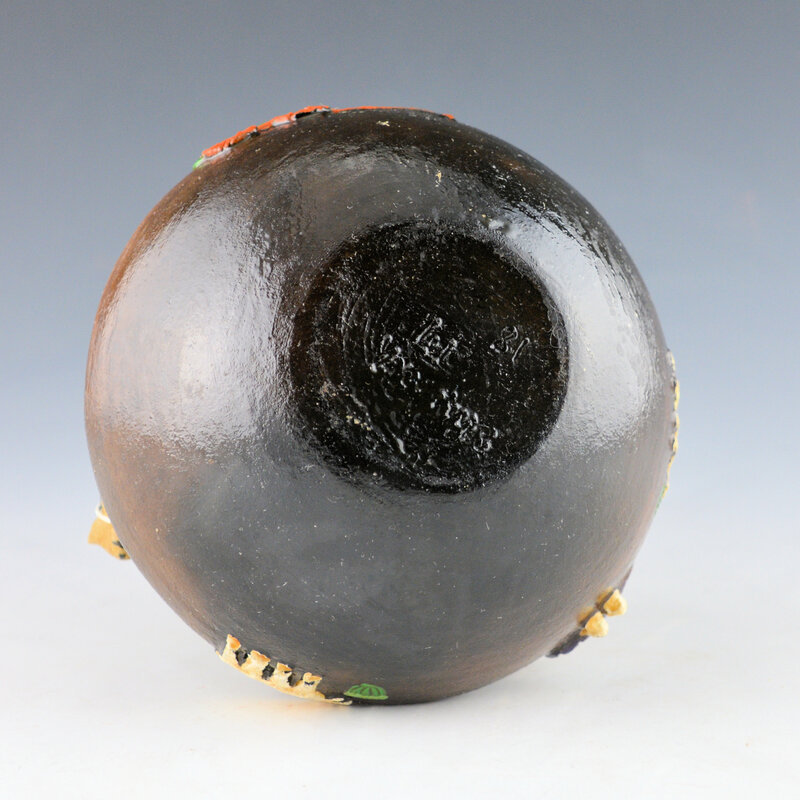 The piece is signed on the bottom in the clay, “EM.” Elizabeth has won numerous awards for her pottery over the years. It can also be found in museums throughout the southwest.